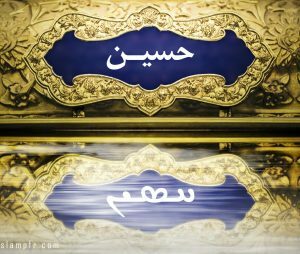 Numerous passages of the Bible have foretold the coming of Prophet Muhammad, the revelation of the holy Quran, Imam Ali, Imam Hussain, and Imam Mahdi from Mecca. Many early Islamic events were prophesied in the Bible but they all were hidden and lost in the translations. Moses, David, Solomon, Isaiah, John the Baptist, Jesus, Peter, and many other Biblical Prophets have talked about Islam, and they have foretold Prophet Muhammad and his household by name, in numerous places. The truth which exists in the Bible but should be uncovered. 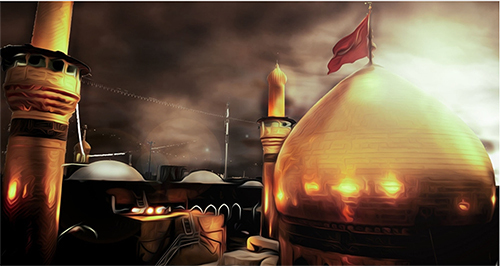 Reading many passages of the Bible, led me to the story of tragic event of Karbala. I tried to ignore my feelings and look for factual evidence, but the more I read, the better I realised that the Bible is loaded with verses about this great man of dignity, serenity, sincerity and faith. Soon I found out that I was not the only one to notice this fact. 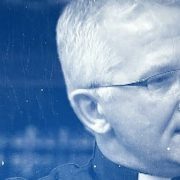 People like former Pastor Professor Thomas McElwain, and former Pastor Sachini Strechen had noticed many of these verses. They both embraced Islam after their in depth studies of the Bible. New Testament Peshitta (the Aramaic Bible) mentions Imam Hussain(a.s) by name in a few places, such as Luke 11:21-22, Matthew 3:11 and Acts 2:7. Jesus, John the Baptist and Simon (Peter) pbut had spoken plainly about Imam Hussain(a.s). The Psalm chapter 19, talks about a man from Hashemite moving toward Kufa. It mentions that this event is not hidden from mê-ḥam-mā-ṯōw (Muhammad). In addition, David(pbuh) mourned for the calamity of Ashura; as he mentions it in Psalm 25:17[p 218-220 ref.]. Nevertheless, the name is lost in the translations, as usual. In all cases, the name is translated to “great”, “greater”, “holy one”, and so on. Here I just scrutiny the Gospel of Luke[11:21-22] and martyrdom of Imam Hussain (a.s) foretold by Jesus(pbuh). For more information about what John the Baptist and Simon(pbut) have said about Imam Hussain(a.s), please refer to the reference book(p 256-261). For when a strong man like Satan is fully armed and guards his palace, his possessions are safe–until someone even stronger attacks and overpowers him, strips him of his weapons, and carries off his belongings. Verse 21 is highly suspicious. The NLT had to add “Satan” to come up with a relevantly meaningful statement. However, translating the verse without adding Satan brings a different picture to the scene. Verse 22 has also changed according to the sense of the translator. Below is the rendered translation of the verses. 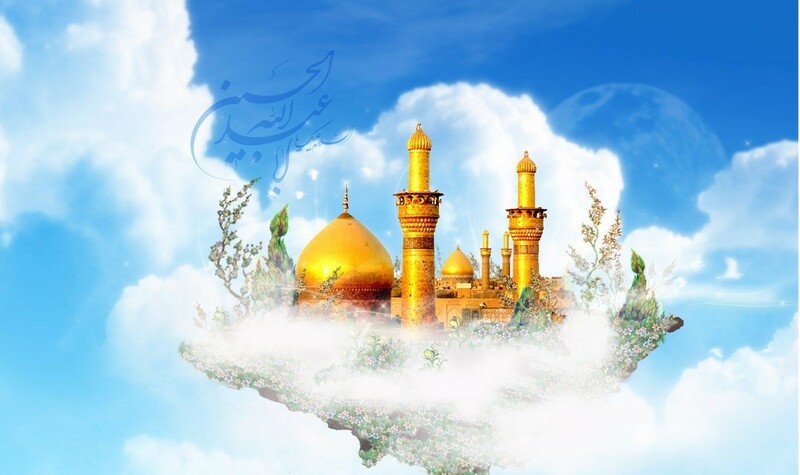 22 Indeed he who is Hussain shall endure, all the pureness belongs to him, all his armor will be taken, he is confident, his belongings and body to be cut in pieces. ḥasīn is the cognate of an Arabic word that means “beautiful”. This is indeed حسین / حسن Hasan / Hussain. 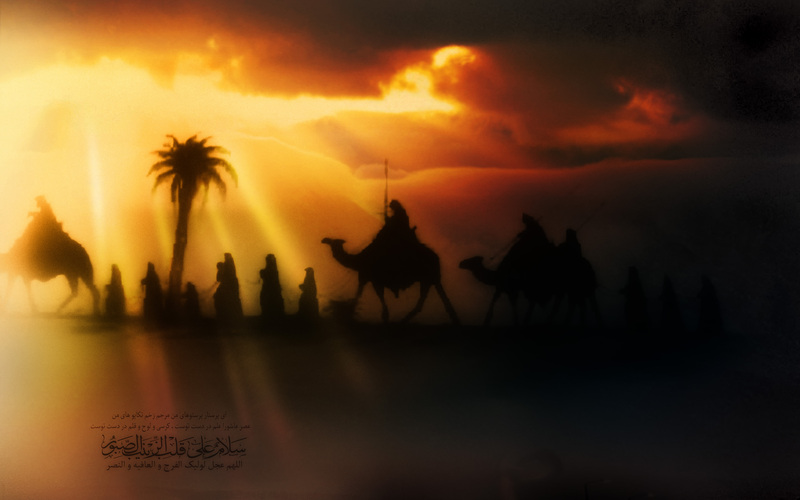 They were the sons of Imam Ali(a.s). 6 “The swift cannot flee nor the strong escape. In the north by the River Euphrates they stumble and fall. 7 “Who is this that rises like the Nile, like rivers of surging waters? 8 Egypt rises like the Nile, like rivers of surging waters. She says, ‘I will rise and cover the earth; I will destroy cities and their people.’ 9 Charge, you horses! Drive furiously, you charioteers! March on, you warriors—men of Cusha and Put who carry shields, men of Lydia who draw the bow. 10 But that day belongs to the Lord, the Lord Almighty— a day of vengeance, for vengeance on his foes.The sword will devour till it is satisfied, till it has quenched its thirst with blood. For the Lord, the Lord Almighty, will offer sacrifice in the land of the north by the River Euphrates. 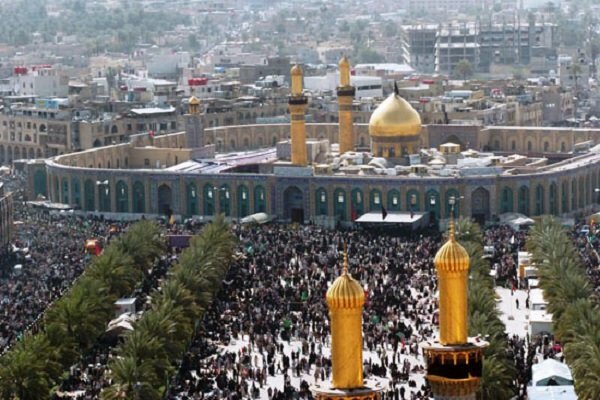 Historically speaking, the only known event near the River Euphrates where God has offered a sacrifice is the event of Karbala. This chapter of Jeremiah has changed the way many believers of the Bible used to think. Former Pastor Sachini Strecthen is one of them. As mentioned earlier, she converted to Islam and led her entire family and some of her Church members to Shi’ite Islam. 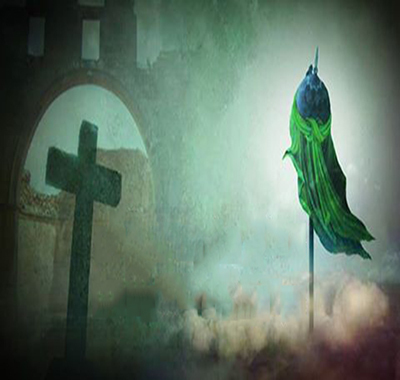 Ashura, the 10th of Muharram, first month of Islamic Calendar, is the day the tyrant army of Yazid martyred Imam Hussain(a.s) and his companions. In Jewish tradition, this day is also The Day of Atonement or Yom Kippor (Leviticus 16 and 23:26-32; Num. 29:7-11). It is the holiest day in Jewish history, which is 10th of Tishreia (the seventh month in Jewish calendar). That is the day of mourning and repentance. Today it is no more the same as it was in traditional Hebrew history. Unlike today’s Jewish ceremonies, the Day of Atonement was no festive event. It was a day of national mourning and repentance. This was a special Sabbath day celebration, which meant that no work could be done (Lev. 23:26-32). Anyone who did not observe this Sabbath was to be cut off from his people (Lev. 23:29), which is a euphemism for being put to death. Beyond this, it was a day when the people were to “humble their souls” (cf. Lev. 16:31; 23:27; Num. 29:7), which, according to many, included fasting. This would thus be the only religious holiday that was characterized by mourning, fasting, and repentance. Besides the aforementioned events, there are a few numerical symbols about Ashura. For example the Bible directs people to take a lamb for sacrifice on the 10th of Tishrei, the Day of Atonement, it is in Exodus 12:3. (Note the numbers 12 and 3) Imam Hussain is the 3rd of 12 Shi’ite Imams. Also month of Tishrei, although is the 7th month now, used to be the starting month in the ancient Hebrew calendar. It was coherent with Muharam, the first month of Arabic calendar. Are all these codes and messages of the Bible about Karbala accidental or perhaps the divine hand is being over them? No intellectual mind will accept these facts as accidental coincidents.